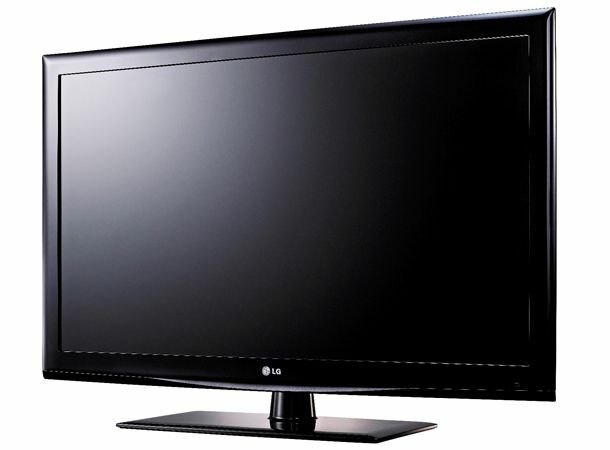 The 42LE4900 is a slither of a screen . Taking advantage of LG's diminutive spin on Edge LED backlighting, it stretches back less than 30mm. It's also very affordable, retailing around £600 although this hasn't dented the specification. Given the budget nature of the TV, design is decidedly upmarket. We particularly like the central 'Standby' light above the pedestal. This glows red like a Cylon's peeper, fidgeting when activated. The LE4900 puts a friendly face forward. Once you've wrestled with the ironmongery that is the 20 degree swivel pedestal, you're good to go. The screen has a well-thought out picture wizard, which allows you to quickly set correct black and white levels, sharpness and colour saturation. Navigation is via LG's simple tiled interface, and if that proves too unwieldy there's a secondary Quick menu to scoot around. Both are equally intuitive, enlivened by clear, understandable graphics. After months of neglect, LG's Netcast online content offering has had a serious update. There's now a healthy selection of free and PPV content to browse, including BBC iPlayer, YouTube, V Tuner internet radio, Acetrax, Facebook and Google maps. Network media compatibility is also rather good. We had success streaming AVIs and MKVs, although one particular AVI test file was deemed 'invalid'. File support from USB media is comparable. Image quality, however, is unremarkable. Edge LED may enable the screen to achieve Cheryl Cole levels of slimness, but its execution is problematic. The backlight is clearly uneven, with bright peaks taunting you from each corner. The set's inability to resolve fine motion detail also takes the shine off its Freeview HD channel performance - the LE4900 sorely misses the brand's proprietary anti-blur TruMotion technology. Without it, there's limited HD texture in faces and other moving objects. The set does have a Real Cinema anti-judder setting but this doesn't resolve motion clarity. To avoid overscan, view HD sources in the Just Scan mode, available from the aspect ratio menu. Audio is average, but that's not through any lack of modes. There are Standard, Music, Cinema, Sport or Game presets, as well as LG's proprietary Infinite Sound mode. This aspires to create a surround soundfield from the two downward firing speakers in the TV's bezel. It doesn't work, of course, but gets points for chutzpah.